Give your wardrobe some sports vibes with this crop top. 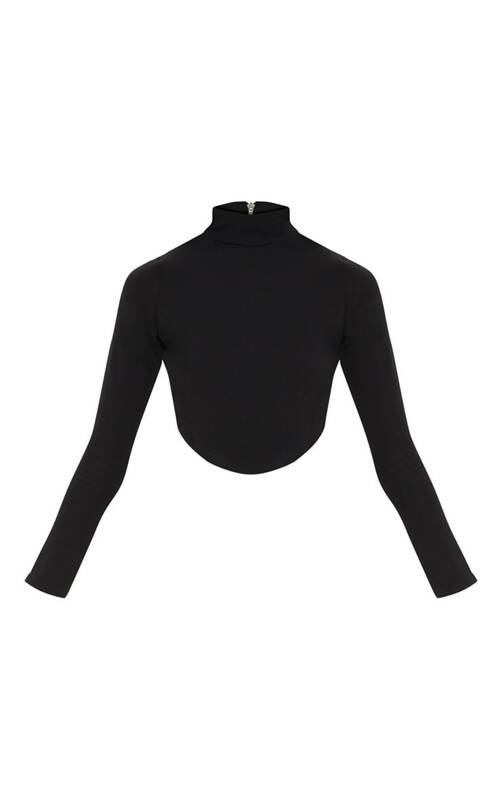 Featuring a curved hem and a zip back detail, we are loving this black long-sleeved crop girl. Team with high waisted black leggings and strappy heels for an oh-so-chic look.